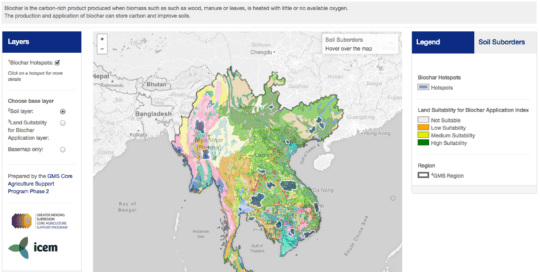 ICEM developed a series of maps for the World Bank's DELTA Tools for the Mekong Delta project. 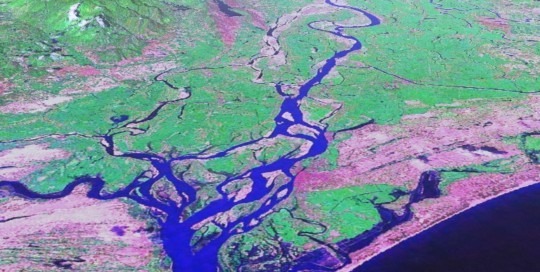 The project covered climate change and its potential impacts on infrastructure in the Mekong Delta. 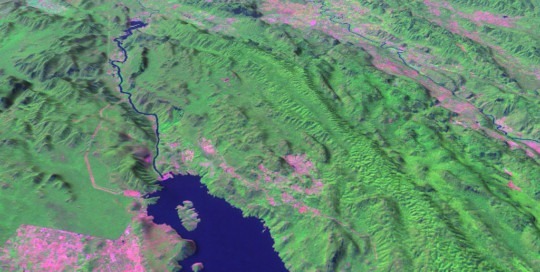 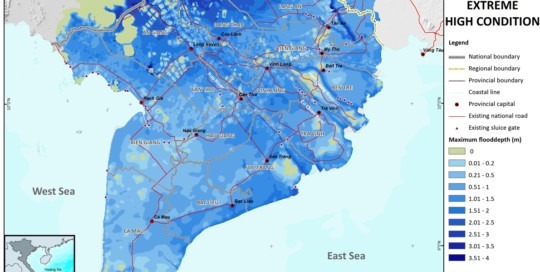 As such, ICEM's maps focused on flooding, salinity, and erosion as well as socio-economic topics such as population density and land use. 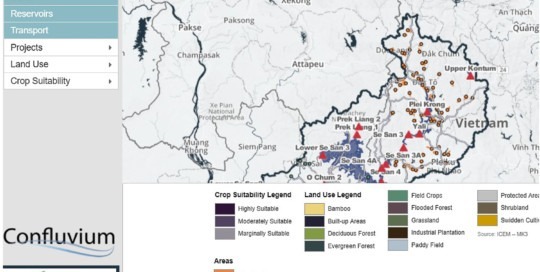 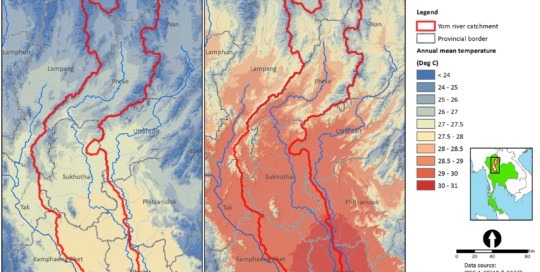 This series of three maps were developed as part of the USAID-funded Mekong Adaptation and Resilience to Climate Change project (Mekong ARCC) in 2012. 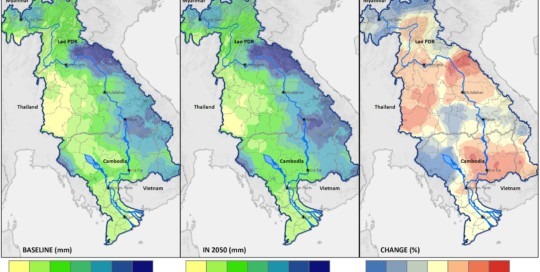 These maps are intended as companion maps to the Mekong Delta average flood baseline 1985-2005 depth and duration maps - to show the changes projected to 2050 as a result of climate change. 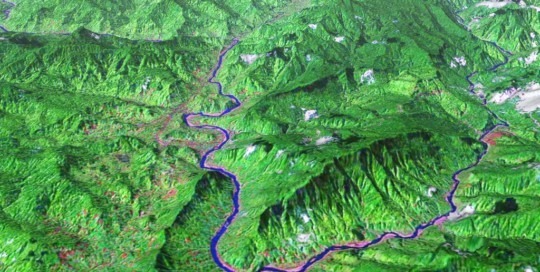 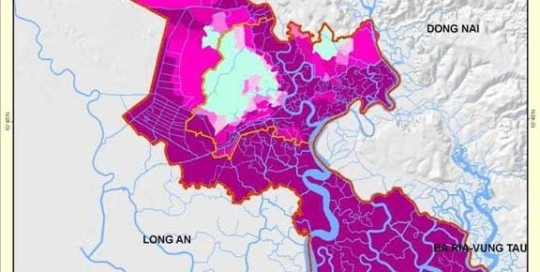 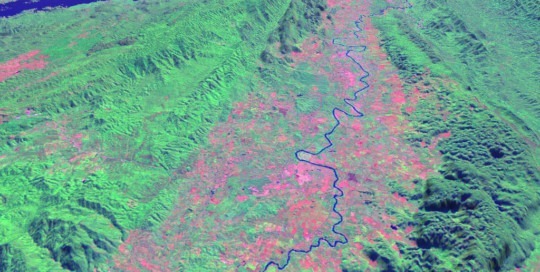 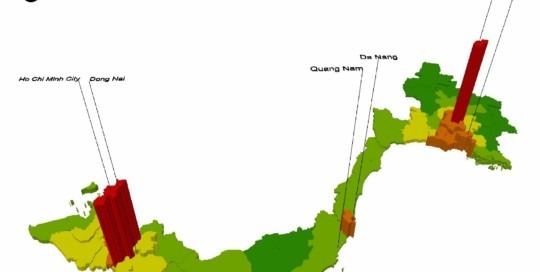 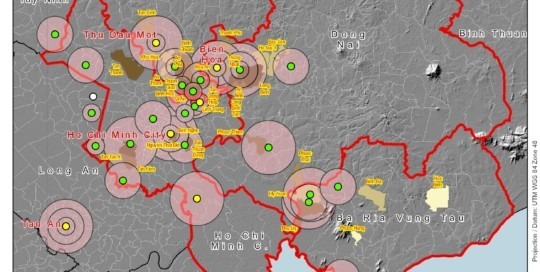 The maps show a marked increase in flood depth and duration to 2050 in the Mekong Delta. 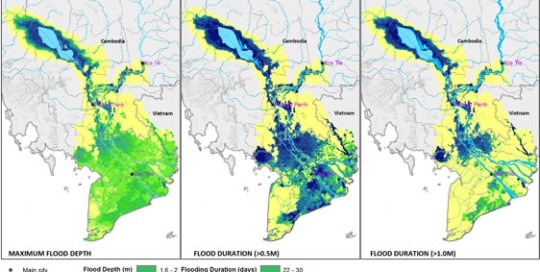 This series of three maps were developed as part of the USAID-funded Mekong Adaptation and Resilience to Climate Change project (Mekong ARCC) in 2012. 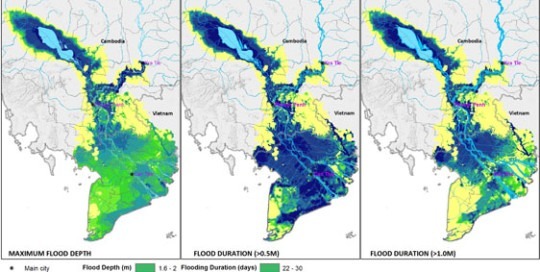 These maps are intended as companion maps to the Mekong Delta average flood climate change 2050 depth and duration maps also developed for the Mekong ARCC - showing the predicted changes as a result of climate change. 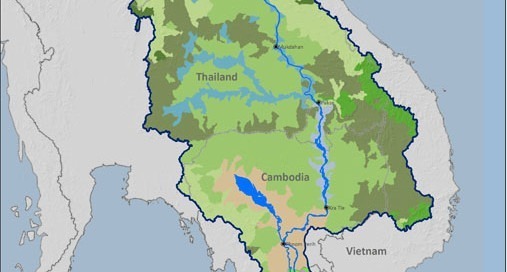 This map was developed as part of the USAID-funded Mekong Adaptation and Resilience to Climate Change project (Mekong ARCC) in 2012. 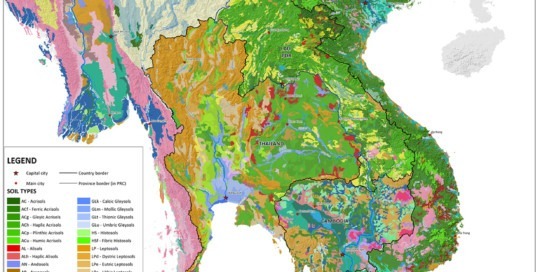 The map shows 12 ecozones within the Lower Mekong Basin (LMB). 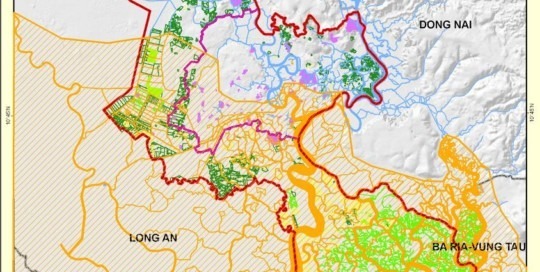 The original ecozones were developed by World Wildlife Fund (WWF) in 2006. 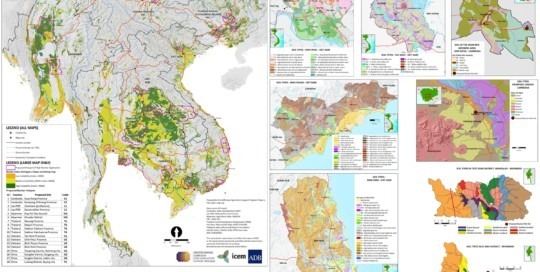 During the Mekong ARCC research phase, it was decided to work with the WWF original ecozone maps, and build on these to develop ecozone maps appropriate to the Mekong ARCC project requirements. 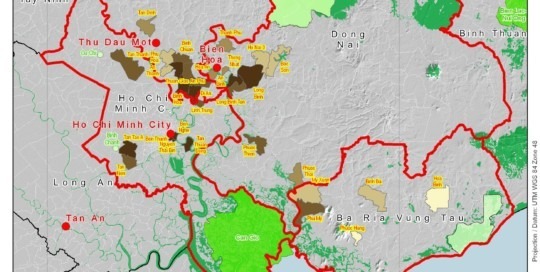 Existing and planned transport infrastructure in HCMC will be at risk from the effects of climate change.